The Loader allows users to populate their material libraries with properties. 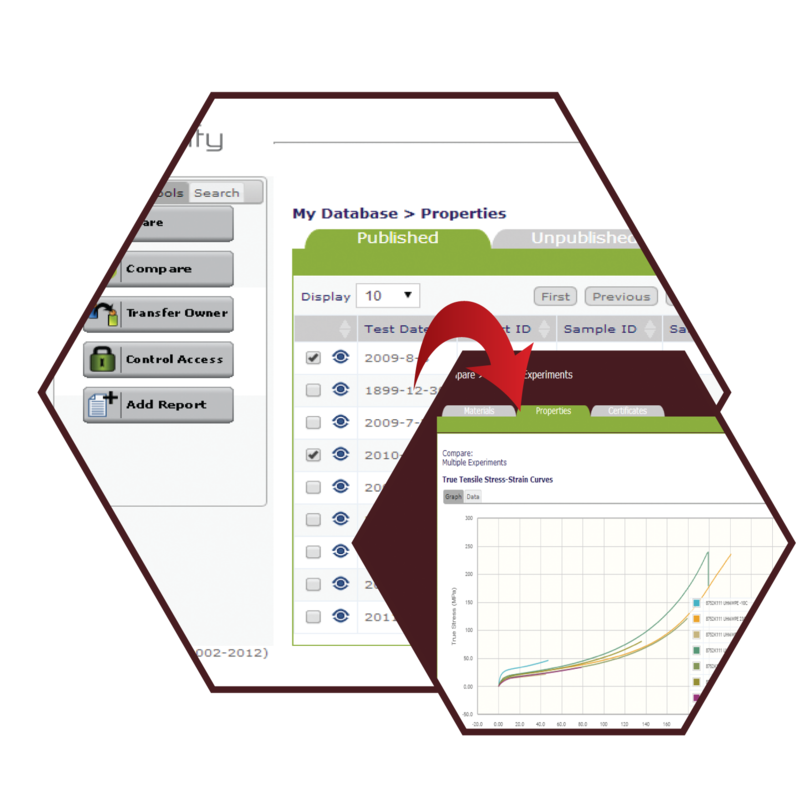 Capture single point or multivariate data, images, graphs, equation coefficients. Fit and plot equations against raw data. Record pedigree and traceability information in conformance with ISO 17025 reporting requirements. Attach test reports and supporting documents to material data. Add material information such as processing, composition, availability, and MSDS. Data can be imported from a variety of file formats, including Excel, test instruments, or CAE material files. The Viewer is used to view and analyze material data of any complexity. Trends and dependencies become apparent with detailed data inspection and curve interrogation, zoom, variability and trend analytics. Plot equations against raw data. 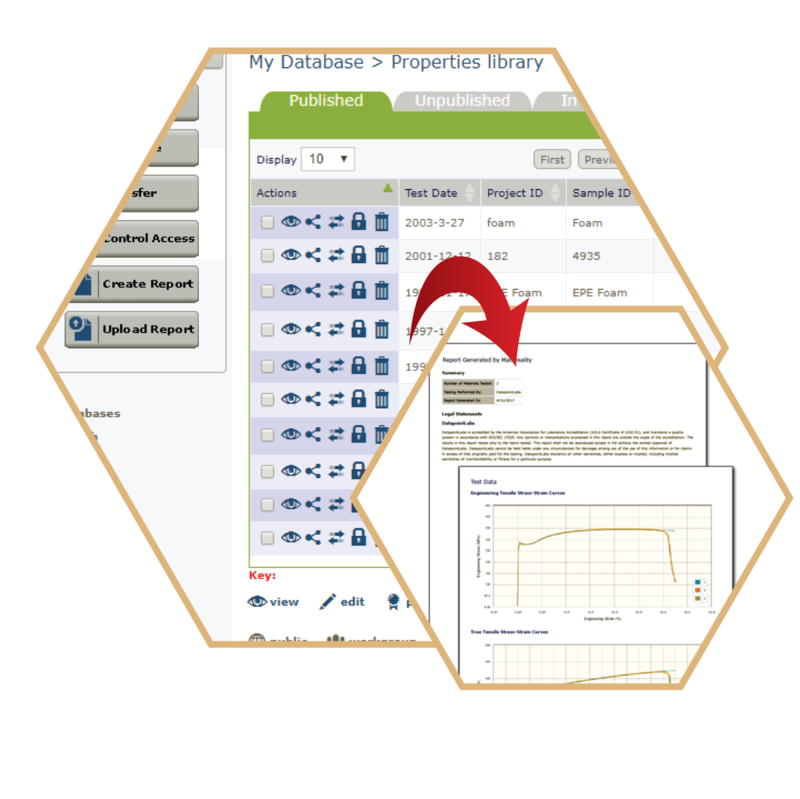 Automatically convert units, create graphs for visualization, and export to reports and presentations. One‑click export to Excel. Make editable copies of data for more detailed analysis and reuse. Data Certificates, data‑source ratings, and test methods are provided to assess data quality. The Modeler creates CAE material parameters from raw material data and writes CAE-ready input material files. 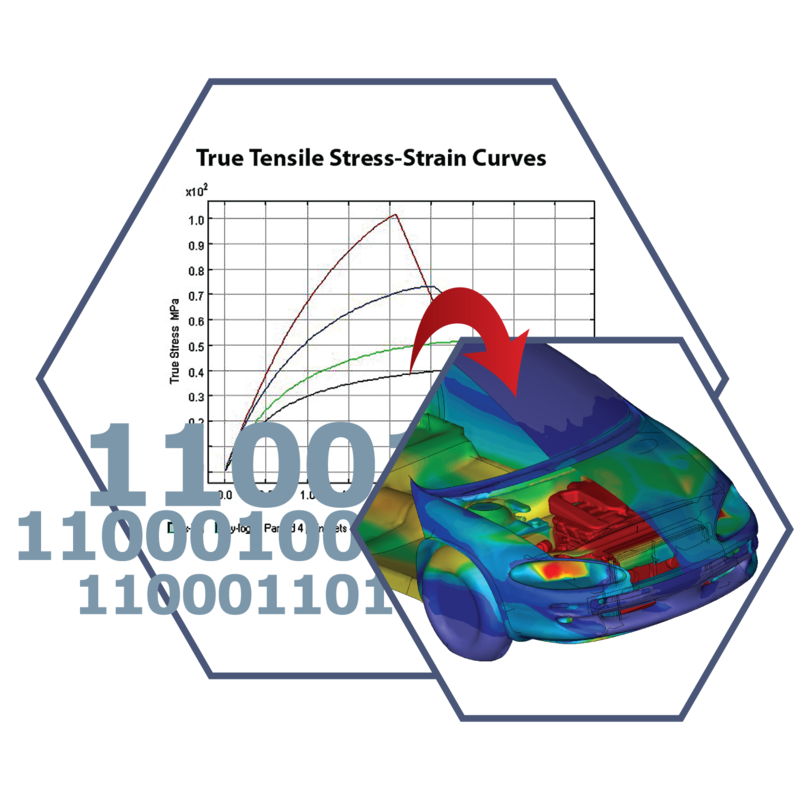 This includes simple elastic, elastic-plastic, temperature/rate-dependent, viscoelastic, hyperelastic material models for FEA, plus injection-molding simulation parameters. Data mining robots are used to identify the correct data needed for each material model. A graphical user interface allows for editing and fine-tuning of the material model parameters prior to material file creation. Files can be downloaded for immediate use or saved to the CAE Materials library. The Analyzer provides analytical tools to compare and contrast materials. 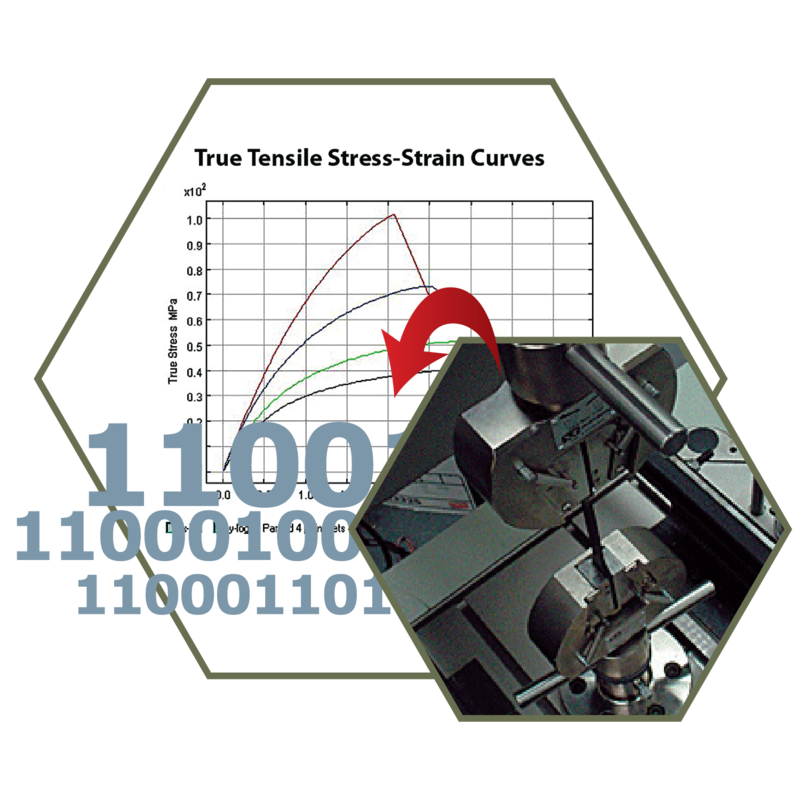 It can be used to view historical data trends and perform statistical analysis on single-point data for quality control applications. 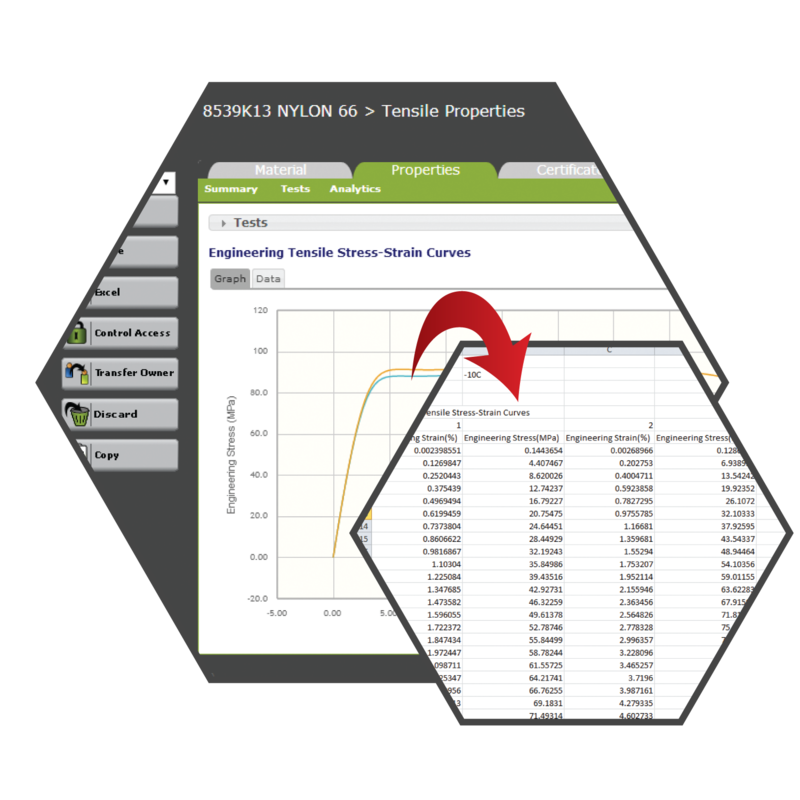 Automated cross-plotting of curve data allows different materials to be quickly compared without export to Excel. Statistical error banding makes it easy to quantify the variability of curve data. Data analysis plots can be used in reports and presentations. The Printer module is a browser-based tool for the test laboratory to automatically assemble data sets for the creation of test reports. Features include output of test parameters and results, scaling and manipulation of curve data plots, automated cross-plots of multi-variate data, alternate unit systems, and annotation. Output can be sent to print or PDF.